'm a Hungarian producer and Dj in Ireland . The trance music is the one of the oldest electronic think in my life. I started to produce music maybe in 1998. My master was DJ Pause who is a famous Dj in my home town .I got a lot of different impulses from a lot of kind of music so I could handle a lot of styles. I started the Dj-ing maybe in 2000 and I think I did nearly 300 parties with a lot of party people. In 2003 I said I create only trance music so that's what I do now with a lot of impulses from another styles. When I came to Ireland in 2006 I signed in to the Life Ain't Easy Recordings and I was glad about that. I had a few parties in the Vaults Club in Dublin with the label but that was all so I started to look for another label to be more than that. In 2008 I signed in to the Andromeda Recordings and I am very happy here with a lot of very nice mates and music. I hope you are going to enjoy my music and download theme. Every moths I have radio show on the Overdrive Underground ( ODU )FM in Chicago . The show is on every 2th week Wednesday 10am . One of my Hungarian friend and me are the P&M Project . We did that just for remixes in Hungary , and thanks God , we started to be famous there . We did remixes for Chriss , Kincses , Dj Sterbinszky , Dj Junior , Flamemakers ……………… and more artists . I have one blog for Hungarian people and I give theme all the news about me , and I have one link site with all the links what I have and a few more stuffs from me . 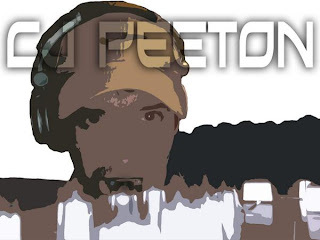 Feel free to send an email in case of promos or bookings For more informations and radio shows wisit my blog on : http://cjpeeton.magix.net/blog/cjpeetons-blog/ C U and take of Ur self.